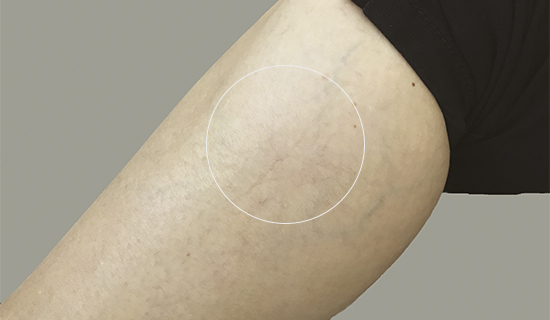 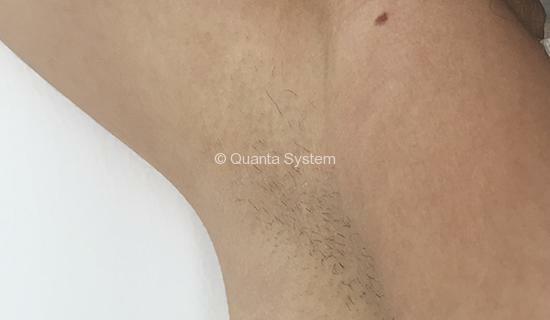 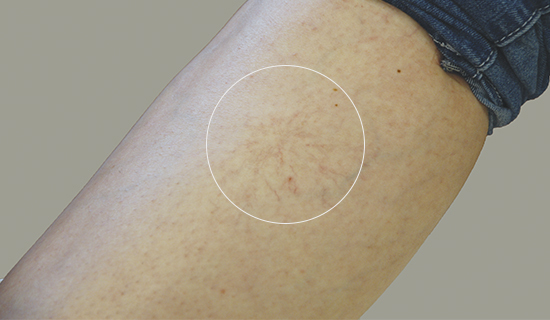 Available in the Thunder MT version, this innovative technology is able to perform the largest range of hair removal applications, as well as vascular and rejuvenation treatments. 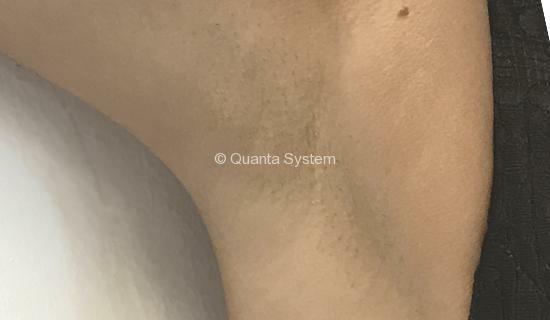 This boosted Mixed Technology allows the operators to perform hair removal even on middle-dark skin types with the maximum safety and effectiveness all year long. 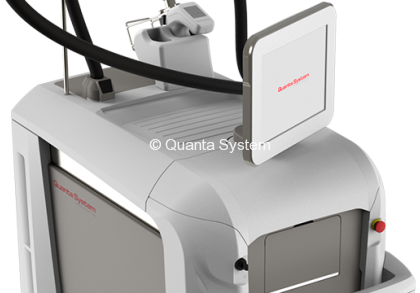 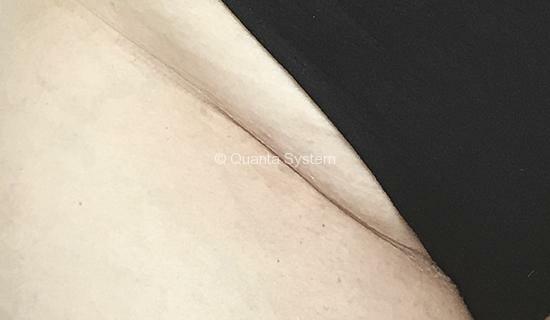 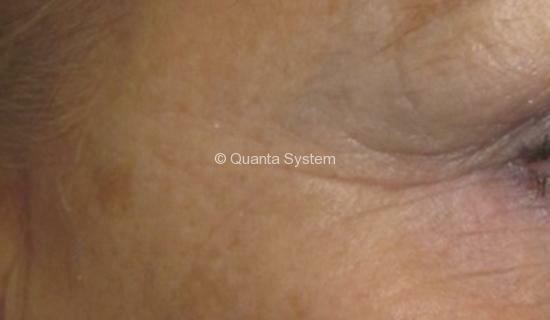 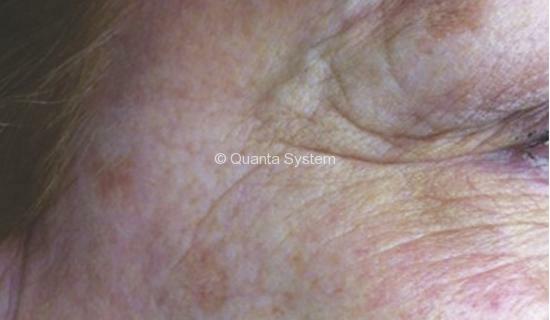 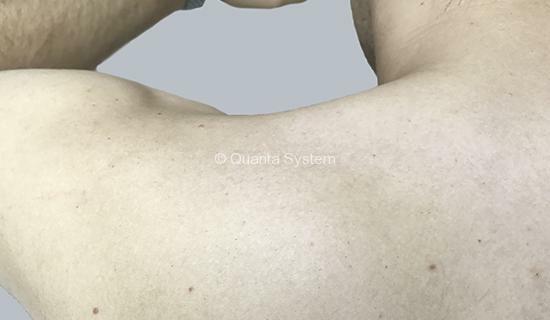 The new Quanta Scanner with Proprietary technology, is a scanner handpiece which automatically delivers laser energy homogeneously on really wide areas quickly avoiding excessive pulse overlapping. 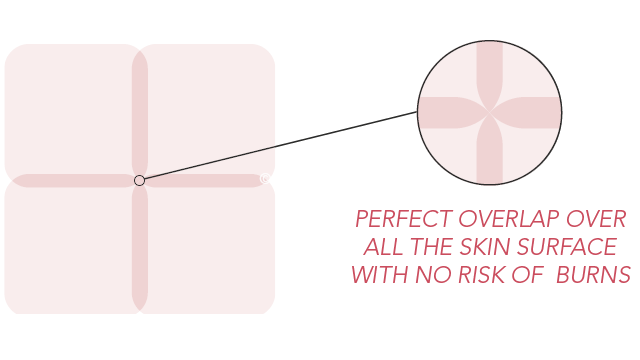 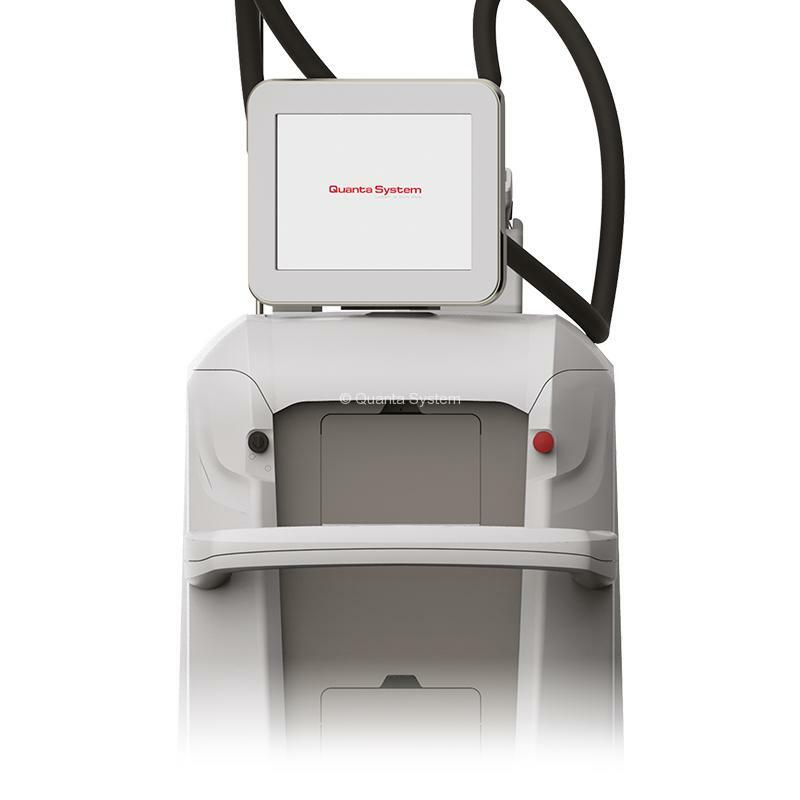 Its exclusive AutoMotion technology can perform even low/no pain hair removal treatments with extreme precision. 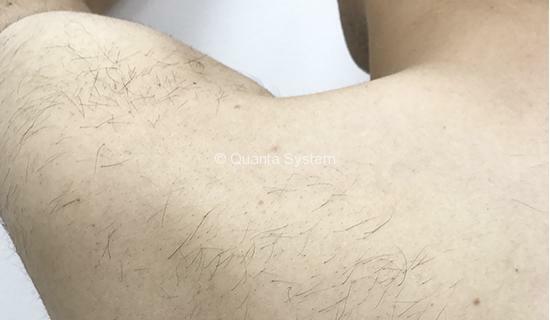 Proprietary Technology is able to generate a new spot with super elliptical shape and optimized gaussian beam profile, to overcome the traditional spots’ limits related to different grades of overlapping in order to increase speed, safety and effectiveness of the treatment. 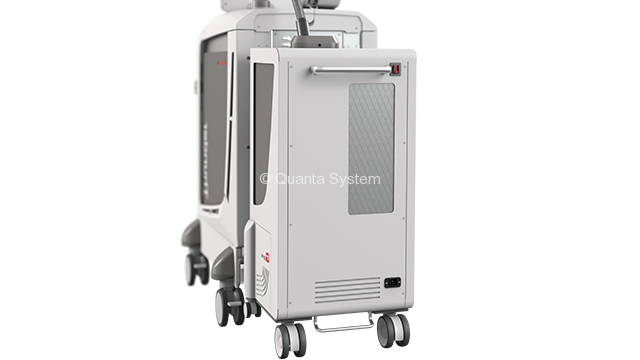 Qool-air is an exclusive skin cooling system available for the Quanta System Thunder Series. 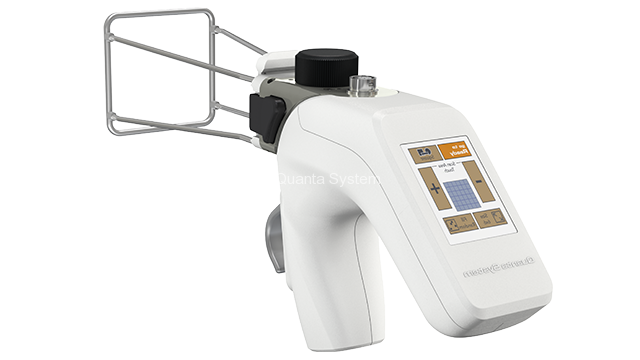 It is compatible with the Skin Cryo and Skin Cryo TH handpiece adaptors. 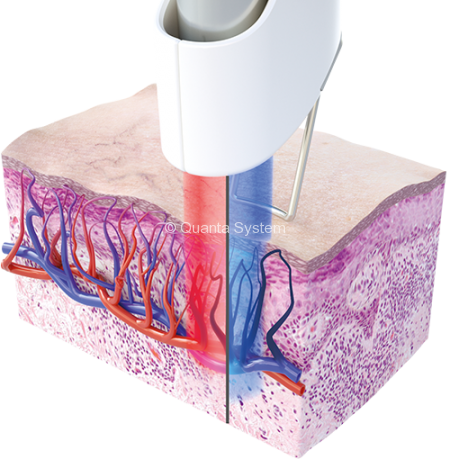 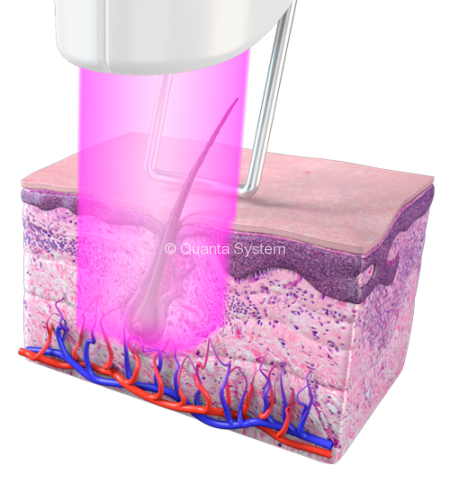 This compact and powerful system is also able to cool-down wide areas of skin for maximum treatment comfort and is controllable directly by the laser screen. 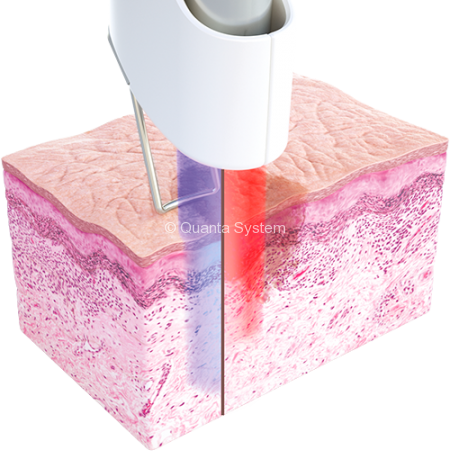 Qool-air is the ideal solution to combine skin cooling power and maximum space saving.